At last, baseball is back: a harbinger of Spring, a nod to tradition, a hopeful celebration of the season to come, and yet another excuse to spend time in bars! 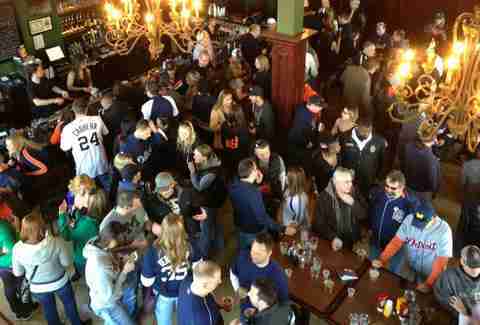 There’s no shortage of sports bars in this city, and there are plenty that specialize in the support of our baseball team, so here are the best, in all of their Tigers-loving glory. 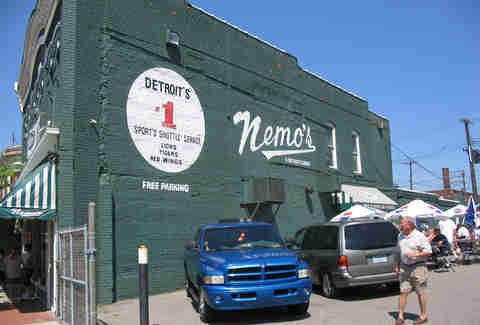 If you’re a Tigers fan, you love Nemo’s. You’ve been to Nemo’s. You know why Nemo’s is the first place mentioned on this list. It's no longer stadium-adjacent, but that doesn’t matter. 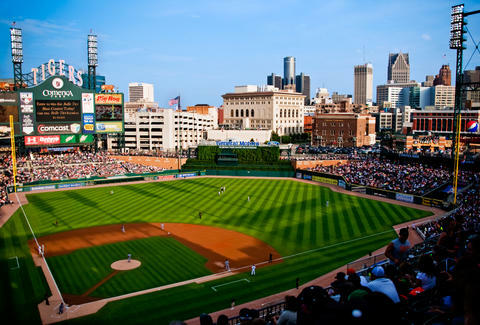 This is the place to watch (or catch the shuttle to Comerica) if you want to dig in to some of the city’s best burgers, be a part of Tigers history, and surround yourself with some of the team’s most dedicated, die-hard fans. It doesn’t have a whole lotta TVs, a whole lotta room, or a whole lotta history -- but it does have a neighborly vibe that makes any Tigers fan feel welcome on game day. It's also worth mentioning that drink-wise they’ve got 24 beers on draft (at least 10 of them Michigan brews), incredible shawarmas courtesy of Bucharest Grill, and that circular bar that seems to bring the whole place together. 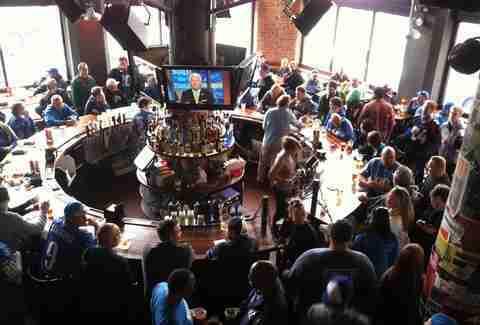 The Detroiter is simply a Downtown staple, with some of the best divey bar food in town (particularly the burgers), cheap drinks, and no shortage of TVs. 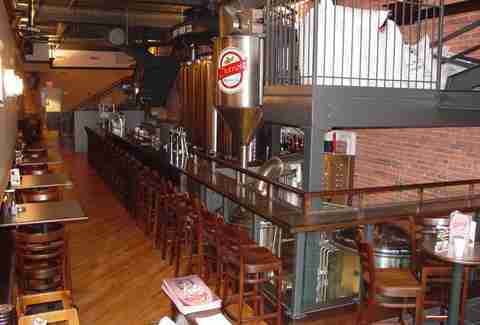 You can easily hole up here all day, or if you’re trying to get to the park, it’s just a short walk through Greektown. This is no dingy sports bar. This is where you go if you want to enjoy fantastic, award-winning, Detroit-brewed beer along with some original brick-oven pizzas, fish-n-chips, or cheese tortellini. This is the kind of place to fill yourself up pre-game to save money before heading to the ballpark and then... spending a bunch anyway because you can't control yourself. Pre-game, post-game, in-game, R.U.B. knows how to party. 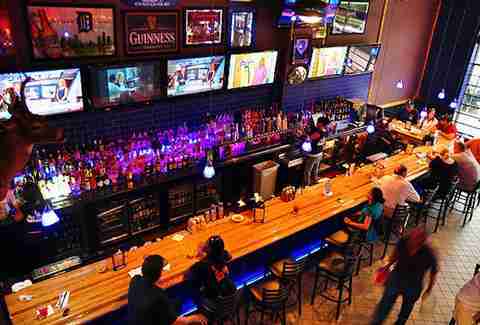 They’ve got 60 beers on tap, 200 domestic and imported total, and 30 TVs, so chances are you’ll find something you want to watch and drink here. Just a block from Comerica, it’s also a hotspot for tailgating… with BBQ, of course. A high-energy sports bar if ever there was one, Coaches is your choice if you like the college-esque bar scene (those were the days! ), and/or Detroit-style pizza. Things can get rowdy here, but when it comes to Tigers games, isn't that a good thing? 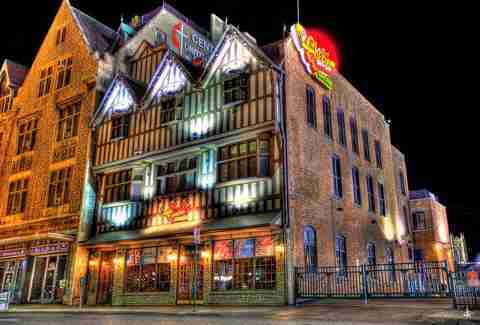 Contrary to popular belief, you don’t go to Cheli’s for the chili -- or any of the food, for that matter. You pretty much just go because it’s there… right there, which makes drinking and watching pretty easy. You go because that’s where the party is -- either on the rooftop deck or the parking lot or in the bar, where they’ve got live music every home game. It’s loud, it’s Tigers-crazy, it’s a good time. 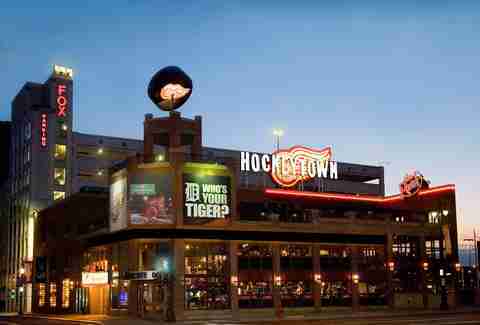 Despite wearing a puck on its head, Hockeytown Cafe is still a killer spot to take in a Tigers game. Likely the choice for the less adventurous, Hockeytown has its merits for any Detroit sports fan. 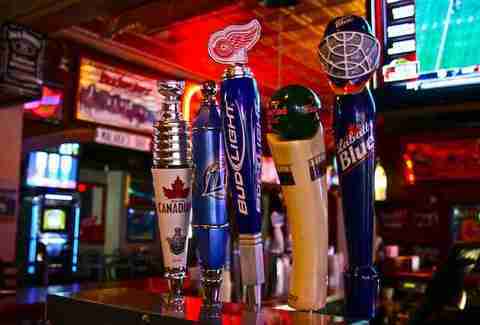 Plenty of flatscreens for your viewing pleasure, a party patio, Comerica-in-sight, and 50 beers to choose from. Let's hope extra time fares better for the Tigers than the Wings this year. If you're gonna be a Tigers hangout up in Midtown, it’d be wise to offer free parking and a free shuttle. Thankfully, Harry’s is wise. But beyond their transportation wisdom, they also offer above-average bar eats like meatloaf, salmon, tandoori chicken, and turkey burgers. 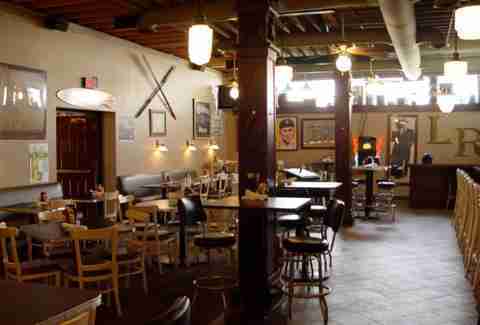 Wings and $2 beers also make it friendly to those who seek more traditional bar food. With a 16ft HD projection screen, rooftop patio, and game-day specials like $15 for a pitcher and four shots, Bookies makes for a great group spot (especially groups of four!). 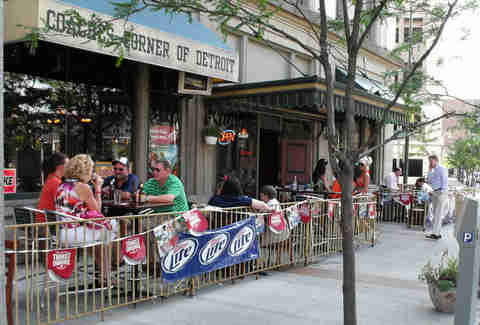 A free shuttle to Comerica simplifies the trek Downtown and maximizes drinking time, as well.